Every month, I post a list of some of my favorite or just the most eye-catching articles, recipes, blogs and other links I have come across in the past month. Some relate to Paris and European travels and some have nothing at all to do with the themes of Paris Weekender. Enjoy! See January’s favorite links post for more fun snippets. And be sure to also visit my page entitled Some Favorite Links for my all-time favorite sites I go back to over and over. Find out what’s in store for Place de la République. The travaux may be causing a mess for traffic now, but hopefully it will be worth it in the end! For those new to Paris or looking to visit for the first time, here’s a good briefing on the different arrondissements (neighborhoods). 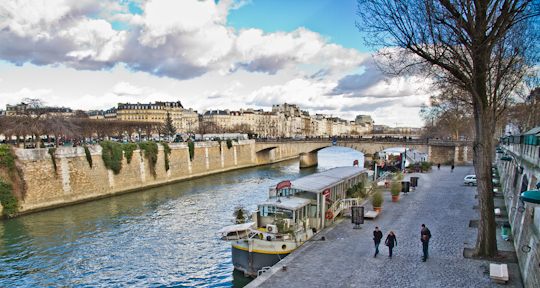 69 Fun Facts about France… or maybe just 62. Could someone please verify #18? I don’t think it’s right. Need to brush up on your French? Check out the 1,000 most common French words. The truth about travel writing? All I have to say is YUMMY! These little desserts might have to be on the menu for my next dinner party. Ever thought to make your own pita bread? Not sure what to wear on your next visit to Paris? Some tempting Parisian finds on Etsy, “the world’s most vibrant handmade marketplace”. A Wikipedia list of common misconceptions… but are any of these actually misconceptions? What’s your favorite find of the month?